A. Johnsen Industri A/S is a modern and financially wellfounded manufacturer of plastics. Spanning a broad range of plastic applications we cover manufacturing, tooling and moulds. We manufacture both simple plastic moulds and complex plastic products. 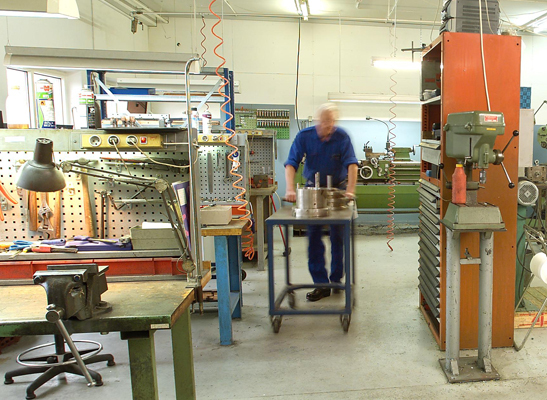 In order to cater for our broad range of products, we have in-house toolmaking. Products from A. Johnsen Industri A/S are always of the highest standard. We are able to follow the production process from idea to product. Our knowledge covers plastics moulding, toolmaking and design. Founded in 1959 A. Johnsen Industri A/S is one af the most experienced manufacturers of plastics in Denmark. We are located in Farum, north of Copenhagen. Our premises cover 5500 m2 of production and storage facilities.